As a cosmetic and restorative dentist with extensive experience, Dr. Nangle stays on top of the latest advancements in dentistry and constantly incorporates new technology and procedures into his practice. His commitment is to provide his patients with the most complete and comprehensive dental experience possible. 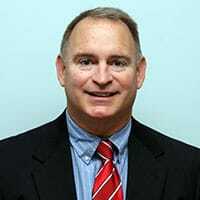 Dr. Nangle graduated from the College of the Holy Cross with a BA in English and four varsity letters in football. He earned his DDS (Doctor of Dental Surgery) from Georgetown Dental School. Among the numerous continuing education and hands-on training programs, Dr. Nangle has studied and mastered the areas of cosmetic dentistry, smile design, comprehensive restorative dentistry, implant dentistry, and occlusion. In addition. Dr. Nangle is always honing his skills and developing new techniques and systems that will better serve you as a patient.